DTA series is designed for practical applications with 3 most-frequently adopted signal outputs in the industry and is built-in with various handy functions and transmission structure, ensuring fast and stable transmission of data. Blower coil pipe in central air-conditioning system, heating system. 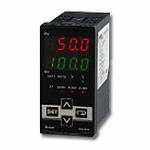 PURCHASE YOUR DELTA DTA STANDARD TEMPERATURE CONTROLLER TODAY!